This week I have had sessions with two very different clients who had been practicing Logosynthesis after reading this book. Each of them contacted me for a similar reason, they are each facing anxiety about an important current challenge that is rooted in the past and that neither of them could seem to change by themselves. They each explained how they believed that a (very different) traumatic incident in the past was related to the current challenge. In each case, they were not sure what to target because the past incident was complicated. My work with each of them involved uncovering the parts of the incidents that had caused them each the most pain and working with that frozen energy. 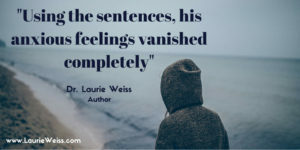 Each time we used the sentences about a certain part of the original trauma, the amount of distress they experienced diminished just slightly. And each time a new memory or image would emerge as a new target. 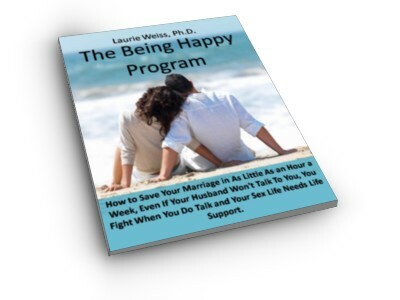 Eventually, in each case, the distress disappeared and they each felt ready to address the new challenges in their lives. Sometimes this work is simple, but sometimes it can be quite complex. Don't hesitate to ask for help when you need it. Like these clients, your relief can be much closer than you imagine. 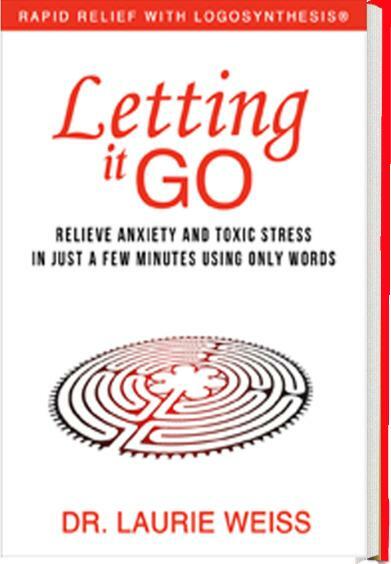 This paragraph is a comment I wrote about a passage on Page 48 of Letting It Go: Relieve Anxiety and Toxic Stress in Just a Few Minutes Using Only Words (Rapid Relief with Logosynthesis®.) You can see the passage in the book. You can also see the excerpt here. This link will take you to Bublish.com, where I regularly publish comments on parts of this book. This is a site where authors share of their work. You can subscribe to my musings, there, as well as to the musings of many other authors. It’s a great place to learn about new books and I recommend that you visit. This entry was posted in Coaching, Emotional Problems, Logosynthesis, Personal Growth, Psychotherapy, Self Help, Self-Improvement and tagged Coaching, Emotional Problems, Energy, Forget to Worry, Logosynthesis, Personal Growth, Psychotherapy, Self Help, Self-Improvement, Stress, Worries. Bookmark the permalink.